With Raymond Merriman, Dra. Karen Hamaker-Zondag, Antonia Langsdorf and Irma Schogt. Language: English. Congress from 11 - 17 hrs+, including hand-outs, "live cooking" lunch, breaks with hot and cold drinks and after drinks. From 2019 onwards, various cycles with a historical connection with society and economy will make very rare reversals. If history may be our guiding principle, major changes will take place from 2019-2020. Politicians and economists know nothing yet! Our experts will discuss it, based on their extensive research, highlighting this subject at this congress. This congress answers the questions: What did these cycles and aspects mean for the world and people in the past? Which world institutions will be affected by these cycles and aspects? And what can we do for ourselves and the world before and under the coming situation? The experts who highlight this at the congress on Saturday 19 January 2019 are Raymond Merriman, Karen Hamaker-Zondag, Antonia Langsdorf and Irma Schogt. Language: English. Raymond Merriman (USA) is internationally known as a financial astrologer with extensive experience in the financial investment world. Since 1981 he has been investigating market movements from history and the cosmic movements that, as he has shown, give direction to the market. He is the author of the 5-part Ultimate Book on Stock Market Timing Series in which that coherence is recorded. As author of the recently published new book Forecast 2019, Merriman discusses future trends in (world) politics, economics, central banks and financial markets around the world. Dra. 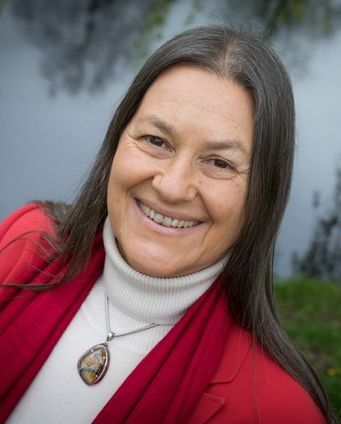 Karen Hamaker-Zondag (NL) studied social geography and urban planning at the University of Amsterdam and became internationally known as an astrologer, author and speaker. When we combine planetary cycles with the results from non-astrological cycles based on the principle of self-similarity, we will start to understand the global implosion of trust and that we are heading towards very intense times with a lot of turmoil; the outcome of which depends a lot on how we act now. We will analyze the dynamics behind the events and developments to get a deeper understanding of the coming years. 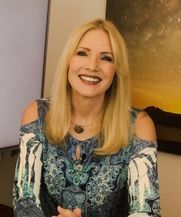 Antonia Langsdorf (D) studied both astronomy and astrology and successfully presented the "Astrotrends" and "Astroshow" in the morning news of RTL Television (Germany) for six years. The zodiac sign of Taurus, which rules taste, art, money and material values, receives from May 2018 until July 2025 a visit from the planet Uranus, which is associated with renewal and change. In this lecture Antonia brings her insights from art, astrology and astronomy together in word and image about the coming stream of new trend developments. Irma Schogt (NL), former currency trader, MMTA Graduate, market analyst and Asset Manager. By popular request, Irma Schogt started to build the new Asset Management Portfolio CAPS in Netherlands. CAPS is the abbreviation for Cycles Analysis, Patterns & Synchronicities, the portfolio that invests according to analysis, rules and measurements taught at Merriman Market Timing Academy. The lectures held earlier on this day outlined the areas of life in which we can expect reversals in the near and further future. At the end of this day we look back on the image that emerged and discuss how you can make practical use of the insights of the experts. Location: Hotel Breukelen, Stationsweg 91, 3621 LK Breukelen, the city that gave name to Brooklyn, NY! "Dutch Brooklyn" is just 30 minutes from Amsterdam Center. Easy accessible by train and car, (only 30 minutes from Amsterdam CS). Free parking. Start congress 11 hours, room open for reception from 10.30 hours. End with drinks after 17.00 hours . Participation cost € 206.60 excluding VAT (if applicable) including hand-out, drinks and lunch. Early Birds tarriff until 22 November € 181.81 excluding VAT. Groups of 4 persons or more get a 22% discount when ordering by e mail. There still is room to welcome new registrations. For registering, call us at ++31 (0) 2914 415 917, send us an email or read more and register online>> We look forward to welcome you then!